Use this Coconut Oil on your skin, hair and entire body daily for a refreshing glow and natural balance to your skin. Use our oil to mix with Shea Butter or Cocoa Butter to make your own moisturizers and lotions. Its all 100% Organic and Natural of the purest nature. Mudfarm Organix Botanicals Organic Virgin Coconut Oil comes from Organic Coconut Plantations in Sri Lanka and has a naturally smooth and sweet flavor. Our Coconut Oil is Cold Pressed immediately after harvesting of fresh Coconuts. We do not bleach, refine or use any chemicals in our products. Mudfarm's Virgin Coconut Oil is solid at room temperature and melts at about 26 Degrees (78.8 F). Has a strong Coconut Scent. 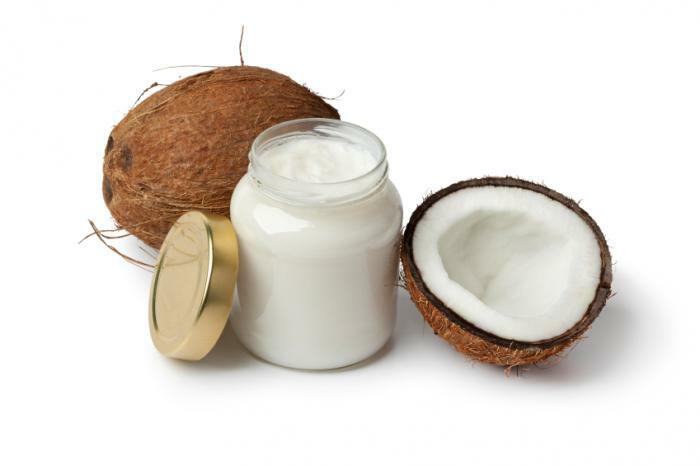 Absorption: Coconut Oil creates an oily, protective barrier on the skin which is absorbed fairly quickly. Shelf Life: Coconut Virgin Organic Carrier Oil should be kept cool and out of bright light; refrigeration is recommended, and it should be used quickly to retain its freshness. Once properly formulated, however, it is slow to go rancid. Very very satisfied with all my purchases from Mudfarm Organix. Very friendly and easy to chat with them.Best coconut oil available. I use this for everything - cooking, frying, baking, pancakes... everything made with Nutiva tastes great. Thank you for the fast shipping! I received a sample from the mud farm outlet and it was just as they said. Better than Cosco for sure. The smell alone will let you know the quality. Cooking with this product now and loving it for everything from Plantains to Fry Fish and more. Try it today although it is sold for skin use, it is still very pure and Sri Lanka has the best coconuts in the world for sure thing. This company offers very high-quality products that are fabulous for vegans like me. Using it daily on my skin and it works awesome, I mix some of the shea butter and makes it softer. Rub between your palms and use it on your face and hair. Its cold this years in Canada and I love this stuff very much and being natural its amazing for my whole family. Thank you guys for helping me and with the samples and free delivery. The product quality is an amazing and top notch. Very pure and fresh and I've been using this for my hair as a leave-on product for more than 10 years now and just recently switched to this mudfarm brand recommended by my friend, I apply this on damp hair, and that tames my curly hair beautifully. Also great as a makeup remover, easily removes waterproof mascara and liquid eyeliner. I really like this brand i started buying the raw shea butter which is hard to find and now love the coconut oil. Love the light smell, not heavy. Can use for all types of things. Use is for everything including whipping of shae butter. Moisturizer for skin, hair. Great !!! Great!!! My hair is shiny now and soft! Coconut also works well as a body moisturizer but I always avoid my chest/neck/face as it breaks me out there. But for arms, legs and everywhere else it's great. Gets rid of KP (the funny lump bumps you get on the top of your arms), and is nice after shaving also. Really amazing texture and smells just like coconut. I like this alot and i am using it with the shea butter to make moisturizers for my family. Thanks for the free deliver and shipping and great service. Applied to scalp and hair, left in overnight, washed our next morning...my hair is so soft, I'm in love with this stuff! I use this product as an all over body moisturizer. It will melt in your hands when rubbed together and applies easily to the body. It also absorbs quickly, leaving no greasy feeling behind which I was a little nervous about. I use it on my 3 year old son who very easily gets irritated skin and eczema patches. This has completely gotten rid of the eczema and rashes on his skin and helps keep it clear and moisturized. And smells great too! Simple amazing. The quality is great--it smells and tastes like fresh coconuts. It really is versatile as I use it for cooking, on hair, and skin. The quantity is definitely worth it for the value as it still lasting and will probably last for months. The delivery was quick, too. This is one of the best coconut oil i have used. I usually buy from costco but this one is Virgin and much pure my nice delicate skin. Recently got put on to all this natural stuff and i am loving all the products so far from mufarm. I will definitely purchase again. After reading about Oil Pulling with Coconut Oil i found these guys and ordered their coconut oil which is amazing and my mouth and teeth are whiter already. Wow i am going to see if my dentist likes this idea and probable not because this cost me 20 bucks while his visits cost hundreds. Use Oil Pulling for cavities and a host of other health issues. Thanks alot folks. Fast shipping and thanks for the free bar of black soap. I really appreciate it. Really good organic coconut oil just as advertised, use it daily on my skin and hair and cook a little with this as well. Not bad for the great smell and nutty flavor. Click the button below to add the Virgin Organic Coconut Oil to your wish list.